View More In Rear Shocks. Please make sure that the spring nut has been against the spring before riding. Manual measurements may have some errors. Please feel free before you purchase it,thank you! .The length approx 125mm/4.9".Item include a bike Shock Absorber. 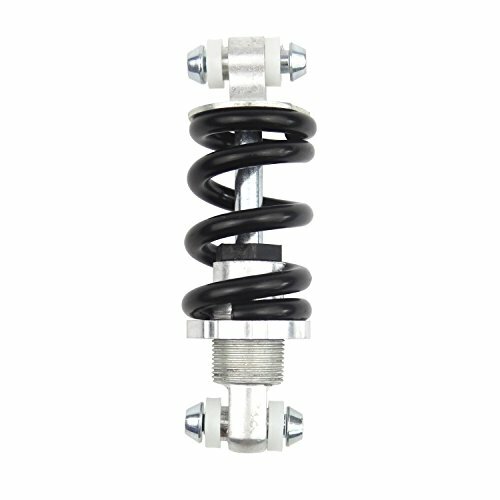 .Made of stainless steel,metal and high plastic,the spring can be adjusted, very flexible. .Suitable for bicycle damping, such as mountain bikes, electric bicycles and other bicycles etc. If you have any questions about this product by Wisdomen, contact us by completing and submitting the form below. If you are looking for a specif part number, please include it with your message.